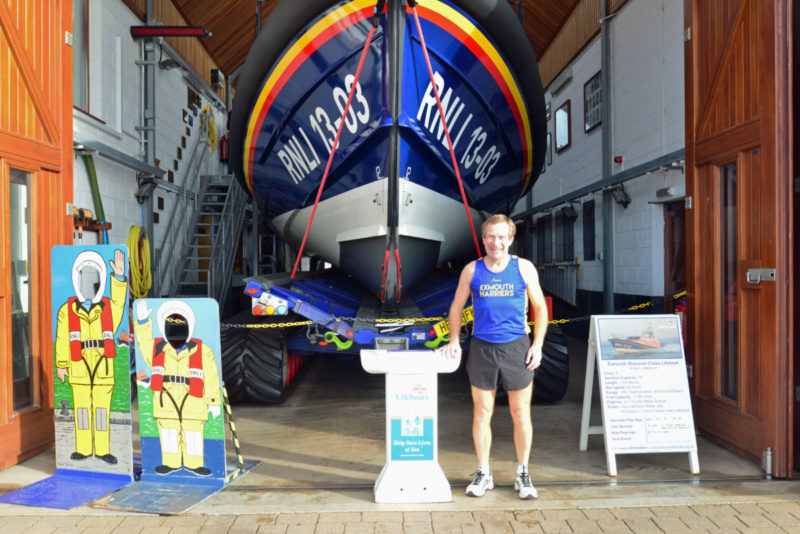 Veteran long distance runner and Exmouth RNLI volunteer, Des White will be running this year’s London Marathon in aid of the local charity. 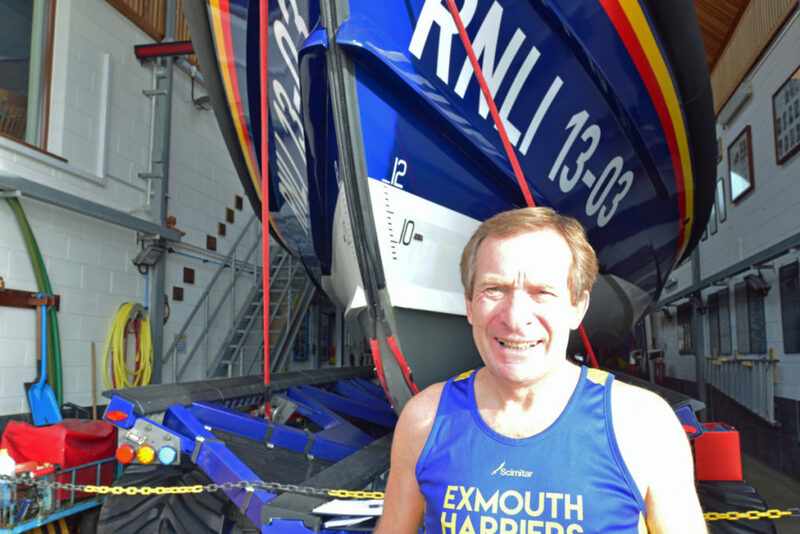 Des has recently qualified as a Tour Guide at the station and is looking forward to raising funds for Exmouth RNLI by running what will be his 43rd marathon. 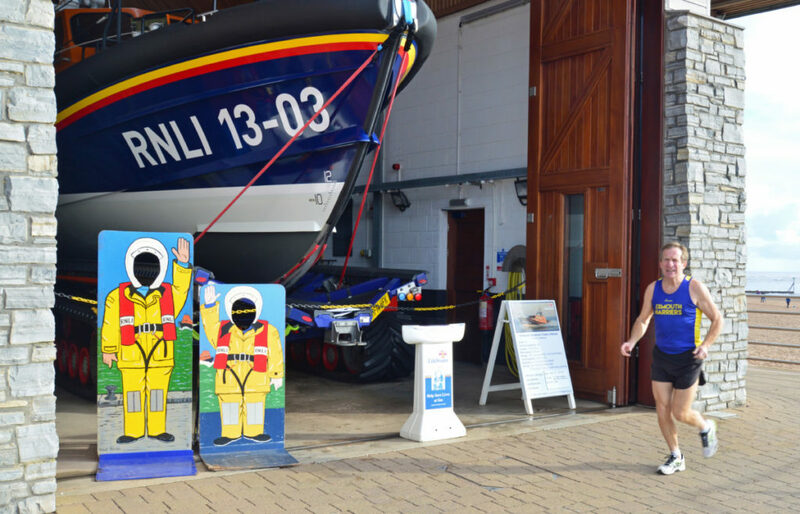 He said ‘I enjoy my work as a volunteer Guide at the lifeboat station, I’m a member of Exmouth Harriers and, as well as volunteering there, I run past it most days on training runs and to raise funds for it seemed the perfect choice’. Amongst his incredible successful 42 marathon achievements, Des, whose first marathon was in 1980 and who will be 65 in February, has successfully run 17 London Marathons, 3 in New York and was the winner of the New Forest race in 1986. His best time is 2 hours 26 minutes set in the 1987 London Marathon and he aims to complete this year’s event in the top 10 of the 65-69 age group.